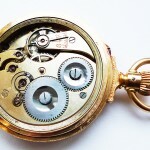 The Calibre IWC evolved to the famous Calibre 52 in 1893. 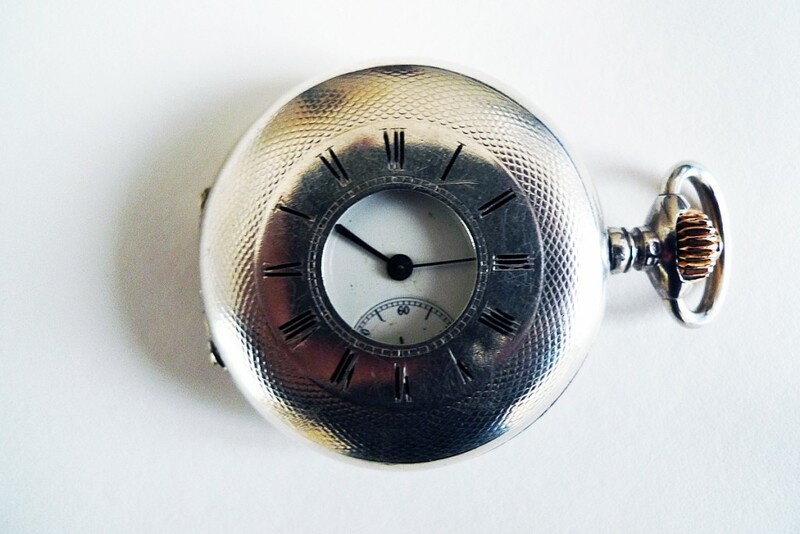 The Calibre 52 was a so-called Lépine design, with the crown at 12 o’clock. A companion Calibre 53 was also produced. 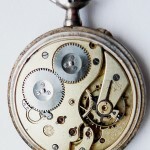 The Calibre 53 was a hunter or Savonette design,with the winding crown at 3 o’clock. 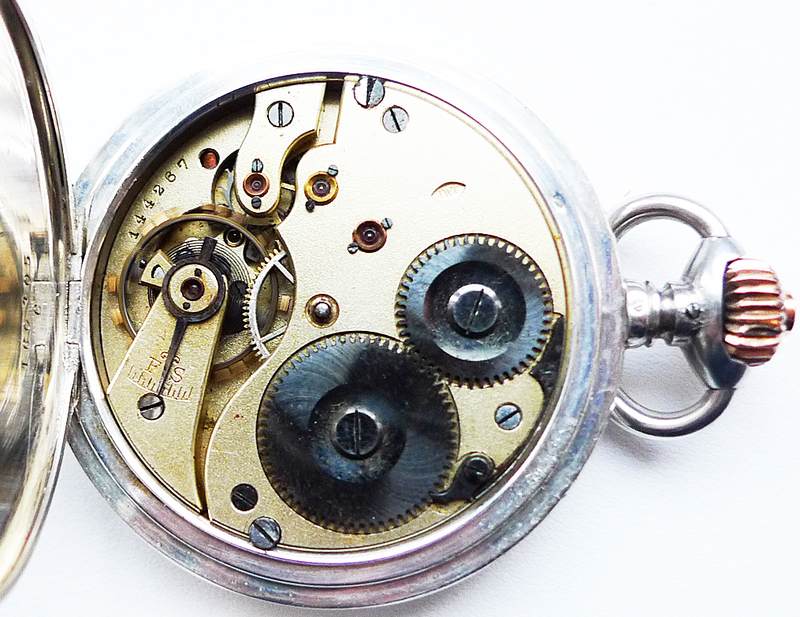 With various modifications, the Calibre 52 movement survived until 1940. 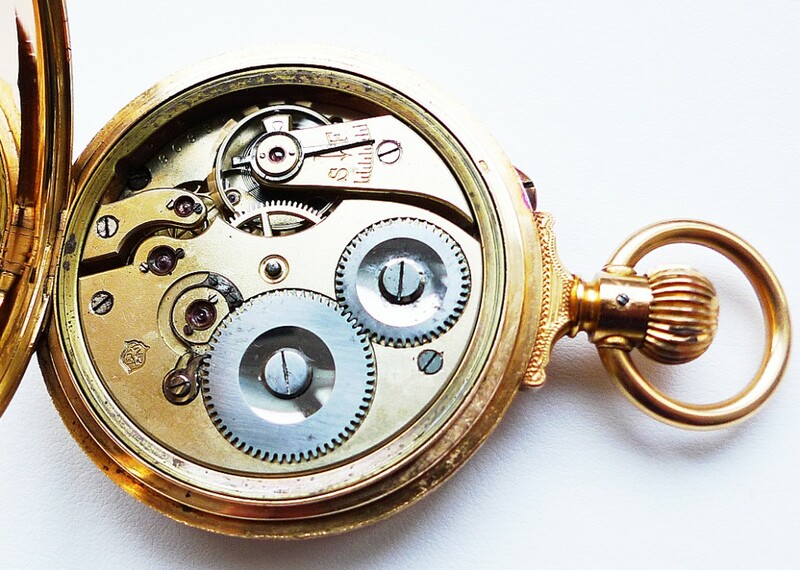 Almost 300,000 examples were produced over this 54-year span, which far exceed any other IWC pocket watch movement. 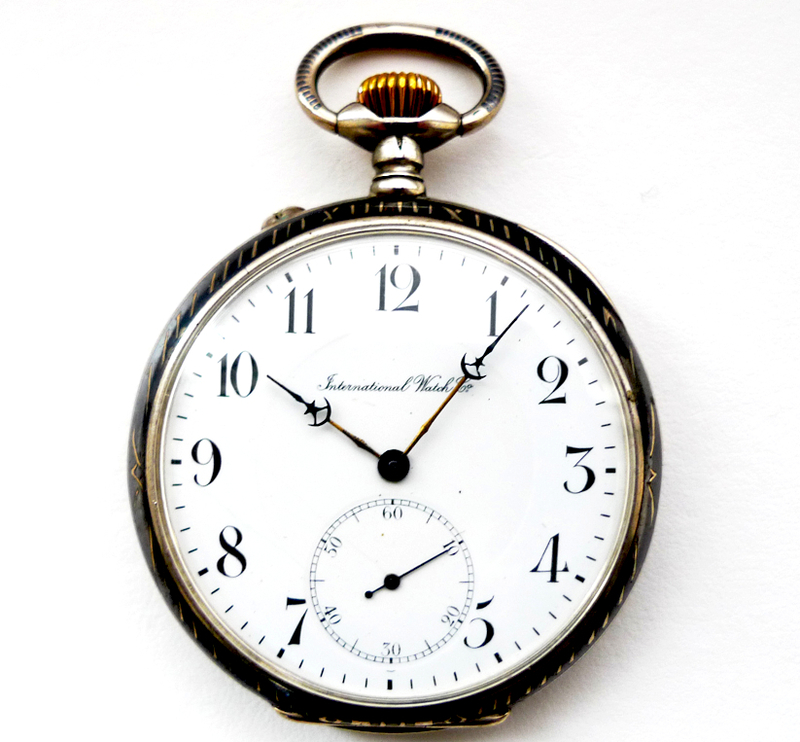 A ‘work-horse” movement, it produced durable and accurate watches and is the most commonly found vintage IWC pocket watch. The Calibre 52 was produced in many variations, all with a three-quarter plate design and often with varying regulating systems or decoration. Its height was variously 5.2, 6 or 6.5 mm and it most commonly was made in 19 ligne size (43.15 mm). It usually was produced with 16 jewels. 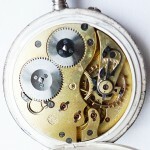 It had a bimetallic balance with screws, and a Breguet overcoil. 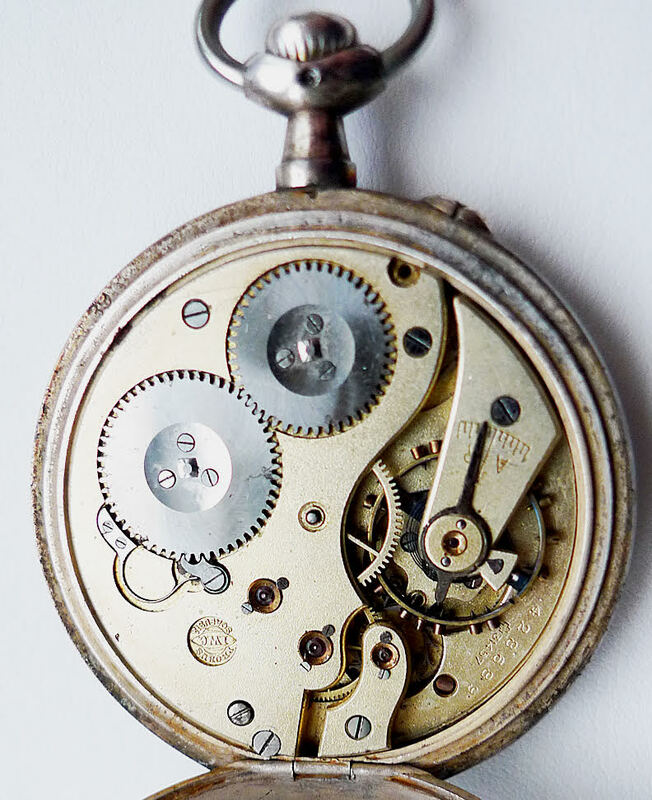 In 1940, the Calibre 52, as Calibre 52 S.C., was used in an over-sized wristwatch and a deck watch, with central seconds instead of subsidiary seconds. 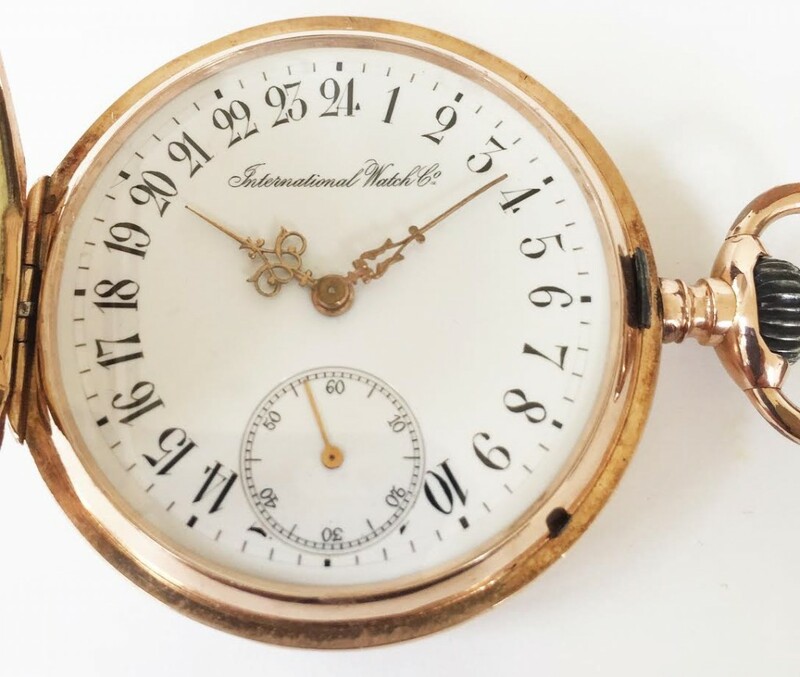 This Calibre IWC, today classified as a Calibre 49, was sold in Paris in 1893, it is one of 20 that were made with an exceptionally elaborate engraved “drum” case. Its provenance is known: it was brought to Brazil and became owned by a wealthy land baron in the jungle. By descent, the watch then was owned by a Jesuit missionary in the Amazon until it was sold. Another Calibre IWC, which today would be considered as a Calibre 50 since it is a Savonette model. It is one of a few known IWC models with a true 24-hour dial. 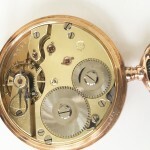 To accomplish this, the movement itself is not changed but rather the motion works are: that is, the components on the dial side that move the hands are revised. Also, here the regulator uses a Swan’s Neck in order to achieve finer regulation. These are two early 1900s Calibre 52s placed side-by-side for comparison. 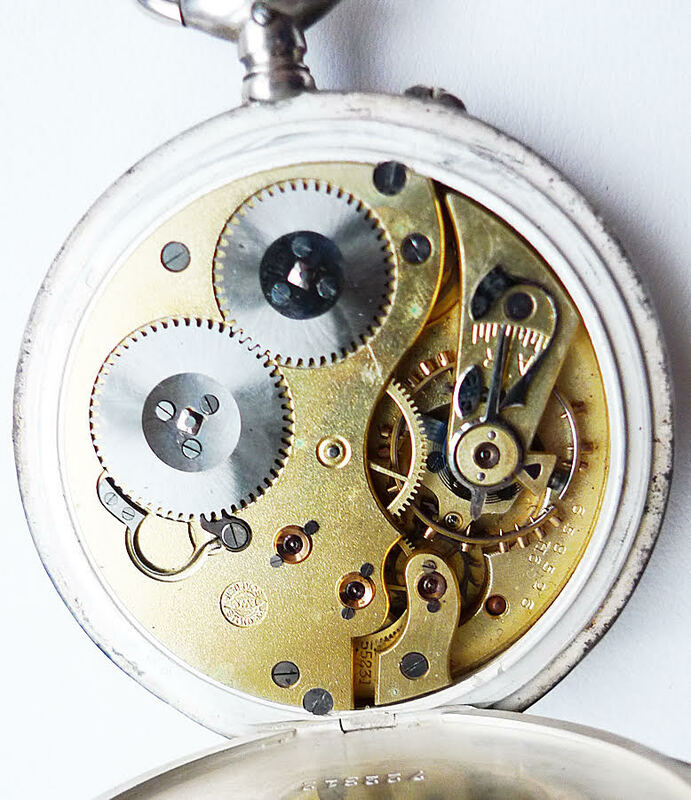 The first is typical: a relatively plain movement, with unpolished brass plates, no center jewel, and a simple regulator index. 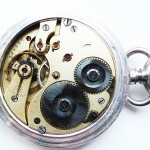 While the movement is relatively unremarkable, it was extraordinarily durable and accurate, and frequently will be so even today. Perhaps its size and thickness, as well as its excellent design, contribute to the movement’s performance. Also, one can see that the movement is almost indistinguishable from Calibres 49 and 50, except for a different curve on the edge of the three-quarters plate. On the former movements, there is a half-circle in the middle, while here the edge forms a sweeping curve. 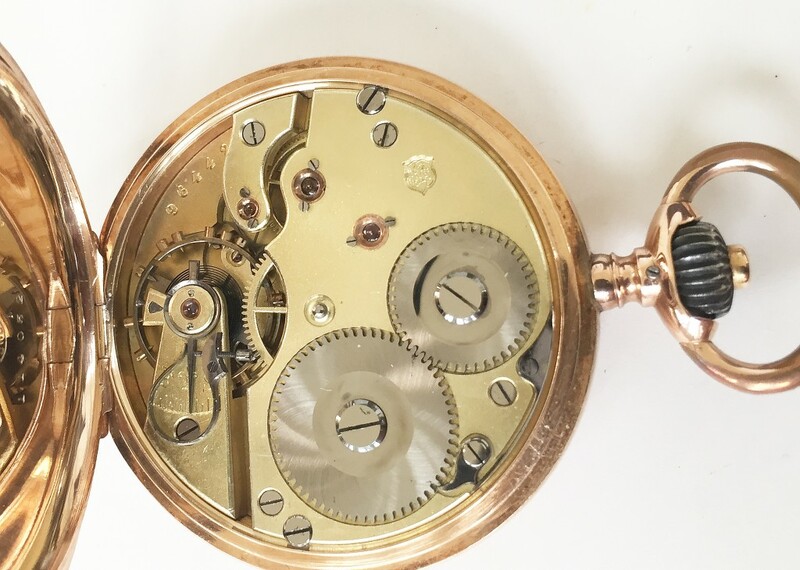 The second movement here, at right, shows a very rare decorated Calibre 52 movement, although it still uses a very simple regulator and has the same jeweling. This Savonette version of a Calibre 52 (and therefore a Calibre 53) is from the mid-1890s and has a “Half Hunter” style case. 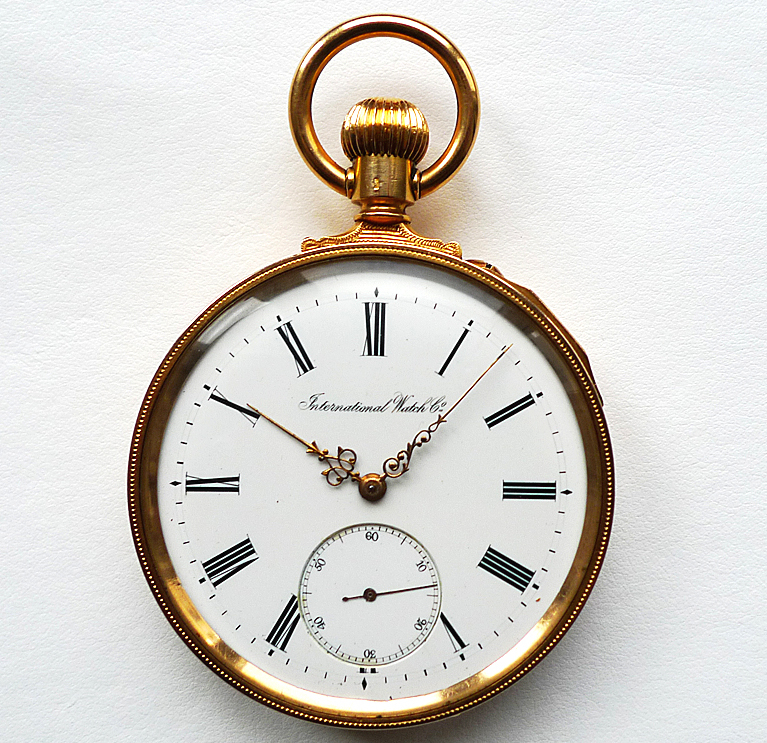 Since the glass could be fragile, the case was protected by a front cover, but with a hole so that the time could be read quickly. 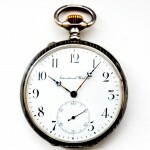 As such, it often could be used as a sportsman’s watch. This particular example was first sold in Odessa. 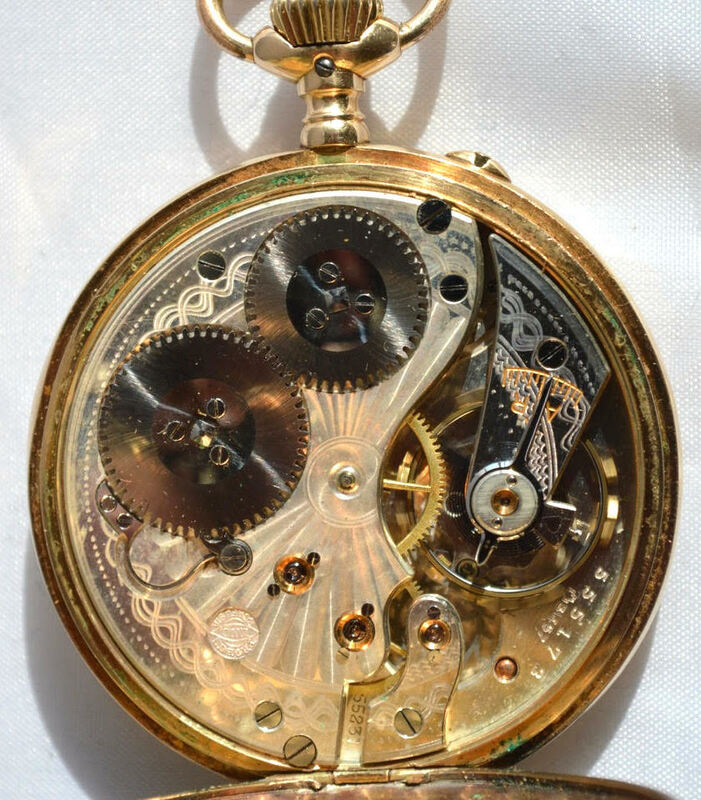 Most early Calibre IWCs and Calibre 52s had dials with Roman numerals. 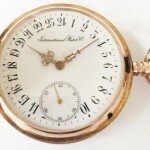 Starting around 1900, dials increasingly had Breguet numerals as shown in this example from about 1917. 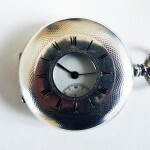 This watch also has a fancy Niello silver case, which involves a specialized acid-etching technique for decoration, and fanciful moon and stars hands. 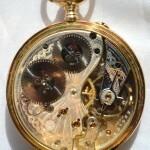 The movement has a a Swan’s Neck regulator, but otherwise is a typical Calibre 52, with unadorned brass plates, no center jewel, and an old-style bimetallic split balance.